A 22 GHz spectrometer for the measurement of stratospheric and tropospheric water vapor has been designed and built at INGV. 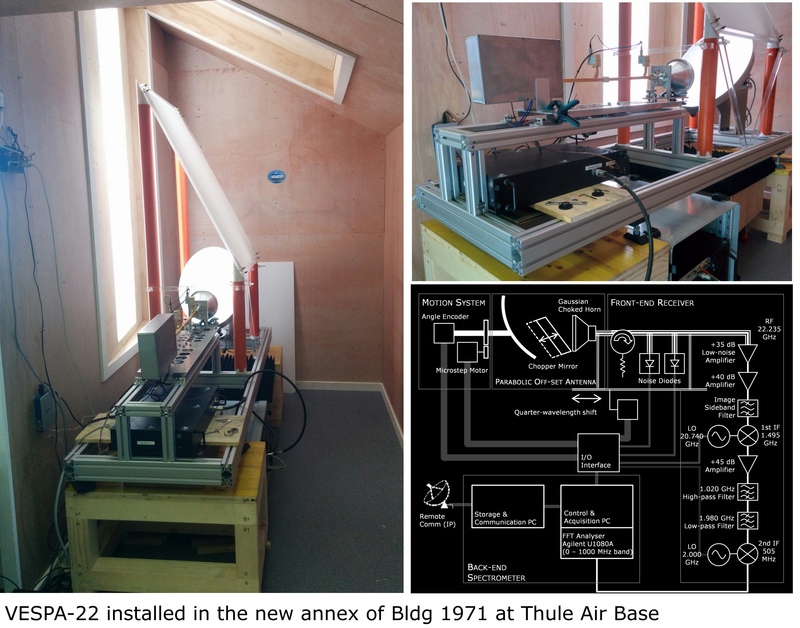 VESPA-22 has been installed at Thule in July 2016 during the measurements campaign for the PNRA project SVAAP. It is operating within the framework of the Network for the Detection of Atmospheric Composition Change (NDACC). 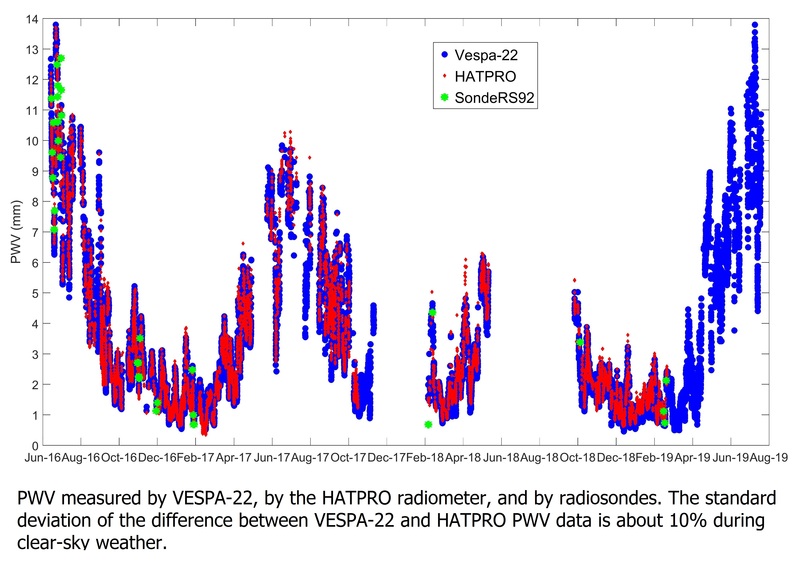 The spectrometer observes the water vapor emission line at 22.23 GHz with a 500 MHz passband and 30 kHz of spectral resolution, allowing the retrieval of vertical profiles of water vapor from about 25 to 75 km of altitude using an optimal estimation method. The tropospheric sky opacity is also obtained by means of regular sky dips, or tipping curves, and column water vapor can therefore be accurately estimated. Satellite data are expected to become sparse in the near future and networks of ground-based instruments capable of long-term observations are becoming even more desirable for monitoring the middle atmosphere.